The 14th season of Porsche GT3 Cup Challenge USA by Yokohama racing went into the record books last week with a pair of 45-minute races at Road Atlanta as part of the Motul Petit Le Mans weekend. 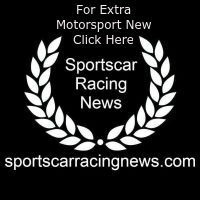 While Victor Gomez IV’s Gold Cup class championship for cars built between 2014 and 2016 was clinched when he took the green flag in the first race at Road Atlanta, the other two went down to the final race. As it turned out, Trenton Estep would lead the Platinum Cup standings (cars built in 2017 or 2018) for the entire season in the No. 3 JDX Racing Porsche. The Platinum Masters title – for drivers over the age of 45 – changed hands on the second-to-last race of the season and wound up with Alan Metni wearing the crown as driver of the No. 99 AM Motorsport/Kelly-Moss Porsche. Here’s a quick look at each weekend of the 2018 GT3 Cup Challenge USA season. Two of the season’s three champions, Estep and Gomez, were winners on the season-opening weekend the series shared with the Ultra 94 Porsche GT3 Cup Challenge Canada by Yokohama. Estep won the first race of the weekend and was in contention for the Race 2 victory when he and Roman De Angelis tangled on the final lap. That enabled Hardeman to sneak through for his first GT3 Cup Challenge USA win, while Estep recovered to finish second. Gomez won both Gold Cup races, setting the tone for a dominating season in the No. 25 machine. Eventual Platinum Masters champion Metni had a podium run of third in the first race of the weekend. Coming out of the weekend, Estep led Hardeman by four points, 67-63, in Platinum Cup. Gomez already had a 10-point lead, 70-60, over Rob Ferriol in Gold Cup, while Metni came out of the weekend sitting sixth in Platinum Masters with 53 points, nine fewer than leader Mark Kvamme. Despite having what would be his worst result of the season with a sixth-place run in the second race of the weekend, Estep was third in Race 1 and retained the points lead coming out of the weekend by one over Hardeman. By virtue of his first victory of the season in Race 1 and a third-place outing in Race 2, De Angelis was just two points out of the lead in third. Kolkmann also parlayed a second-place showing in Race 1 and his first victory in Race 2 into a top-five spot in the Platinum Cup standings. Luck swept both Platinum Masters races of the weekend to give him three wins in a row overall and the Platinum Masters lead by 14 points over Metni, whose best run of the weekend was a second-place showing in Race 1. Gomez picked up his third-straight win in Race 1 and finished fourth in Race 2 as Kurt Fazekas earned his first Gold Cup win of the year. Gomez came out of the weekend 11 points ahead of Fazekas in the Gold Cup standings. Estep returned to the top step of the podium in Race 1 and finished second to Kolkmann in Race 2 to stretch his lead in the standings to 11 points over De Angelis. In Platinum Masters, Metni picked up his first win of the season in Race 1 but struggled in Race 2. Luck finished second in both races to retain the points lead by 18 over Kvamme and 19 over Metni. With a sweep of both races at Mid-Ohio, Gomez’s first name almost began autocorrecting to “Victory.” They were his fourth and fifth of the season in Gold Cup, giving him a stranglehold on the championship standings. All three eventual series champions earned victories in Race 2 and earned podium finishes in Race 1. Estep finished second to De Angelis in the first race, then picked up his third win of the season in Race 2 and left Watkins Glen holding a 13-point advantage over De Angelis in the Platinum standings. Metni’s double-podium weekend – which included a runner-up result in Race 1 and his second win of the season in Race 2 – vaulted him into second in the Platinum Masters standings, just five in arrears of Luck. And Gomez’s sixth win of the year in Race 2 after finishing third in Race 1 extended his lead to 17 points in the Gold Cup standings over Fazekas. Robichon, who would go on to win the 2018 GT3 Cup Challenge Canada championship, swept the weekend in his first USA rounds as a stand-in for the sidelined Hardeman in the Moorespeed Porsche, which would become a recurring theme for the remainder of the season. Estep, meanwhile, kept the championship pressure on with a pair of third-place runs and came out of the weekend leading De Angelis by 17 points. Levitas picked up his fourth victory in as many Platinum Masters race weekends in 2018 with a Race 1 win, while Luck gave himself a bit of breathing room in the class point standings with a win in Race 2, extending his advantage over Metni to 17 points. Gomez claimed his eighth win of the season in Race 2, a day after his worst result of the season (7th) and exited with the same advantage 17-point lead he had coming into the weekend in the Gold Cup standings. Robichon went back-to-back again at VIR as Estep added two more podium finishes to run his Platinum Cup points lead to 24 points over De Angelis. The Platinum Masters wins went to Levitas again in Race 1 and for the first time in 2018, Poordad in the No. 20. Two tough outings for Luck allowed Metni to close the gap in the Platinum Masters standings to 13 points. Gomez went back-to-back again in Gold Cup, opening up a lead of 43 points coming out of the weekend over Ferriol. Robichon won the first race and crossed the finish line first in the second, but a post-race technical infraction on the No. 19 Porsche gave the win to Estep, which was his fourth of the season. That win, coupled with a third-place showing in Race 1 ran Estep’s points lead to 31 over De Angelis. Metni claimed his third Platinum Masters win of the season in Race 1 and finished fourth in Race 2, tightening the championship standings to six points between himself and leader, Luck, heading to the season-ending weekend at Road Atlanta. With back-to-back Gold Cup wins, which were his 10th and 11th of the season, Gomez put himself in the position of needing only to start the first race of the Road Atlanta weekend to clinch the title. Robichon went back-to-back again in Platinum, finishing the year with wins in seven out of eight starts in the series. Estep finished a conservative fifth in Race 1, which put him into position to clinch the title in Race 2, which he did with a third-place result. He beat De Angelis to the title by 25 points, 499-474. Metni also went back-to-back in Platinum Masters. The first win moved him atop the class point standings and the second made him a champion. He finished the year nine points ahead of Luck, 478-467. And while he didn’t win either race for the first time all season, Gomez did what he needed to do to clinch the title, which was start Race 1. 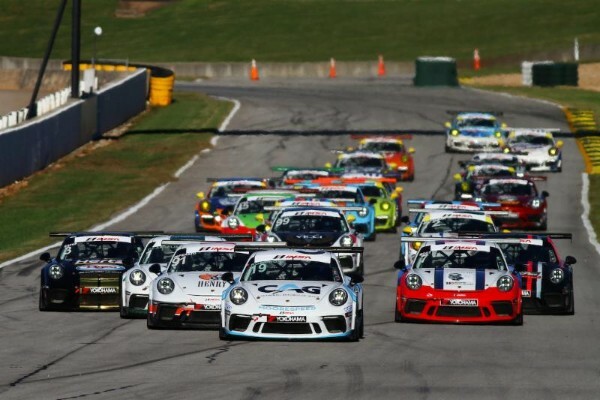 Both race victories went to Ziegelman, who competed in his first GT3 Cup Challenge USA weekend of the season, while Gomez finished with a total of 529 points, besting Ferriol by 57 markers.